BOTOX® Cosmetic is the only approved treatments to temporarily improve the appearance of both moderate to severe frown lines between the brows and crow’s feet lines in adults. A well-studied treatments, BOTOX® Cosmetic is one of the most extensively studied medical aesthetic treatments and is approved for cosmetic use in 78 countries. * BOTOX® Cosmetic has a record of experience that aesthetic specialists know and trust. And, the safety and efficacy of BOTOX® Cosmetic have been evaluated in both Allergan sponsored clinical trials as well as in 417 peer-reviewed articles in scientific and medical journals. *VISTABEL® outside of North America. Derived from sources that exist in nature, BOTOX® Cosmetic contains tiny amounts of a highly purified botulinum toxin protein refined from the bacterium, Clostridium botulinum. Formulations, potency, and approved doses vary among botulinum toxin products, which means that one product cannot take the place of another. Those are a few reasons why there is no such thing as a “generic” form of BOTOX® Cosmetic. There have been no studies to support that other products are Unit-to-Unit equivalent to BOTOX® Cosmetic. How does BOTOX COSMETIC WORK? A treatment experienced by millions of people millions of people have already made BOTOX® Cosmetic a part of what they do for themselves. Today, BOTOX® Cosmetic is the #1 selling product of its kind in the world. What should I expect with Treatments? Real, noticeable results - You may begin to notice results within 24 to 48 hours for moderate to severe frown lines, with results lasting up to 4 months. Some patients report that being injected with BOTOX® Cosmetic feels like a pinch Your specialist may use ice to numb the treatments area. If you are concerned about discomfort, your specialist may apply a topical numbing cream before administering your treatments. The actual injection process takes about 10 minutes -Your specialist will discuss your treatments goals and perform a facial analysis to determine the appropriate treatments areas for you. Return to your daily routine -Treatments requires minimal downtime or recovery; it’s often called a lunchtime procedure. You’ll be able to go about your normal routine immediately after you leave your specialist’s office. Cost considerations - Your cost not only includes the price of the product, but more importantly, the skill and expertise of the specialist or healthcare professional who is administering your treatments. BOTOX® Cosmetic is a technique-sensitive treatment—look for someone who is licensed and trained and has experience treating patients with BOTOX® Cosmetic. Be wary of discount products or “cheap” BOTOX®Cosmetic—if it sounds too good to be true, it probably is. It is more important to find an experienced specialist who will take the time to understand your treatments goals and develop a treatments plan that is right for you. Hyaluronic acid is a natural substance found in your body. High concentrations are found in soft connective tissues and in the fluid surrounding your eyes. It's also in some cartilage and joint fluids, as well as skin tissue. It is extracted and reformulated and now has become one of the most popular kinds of injectable fillers. 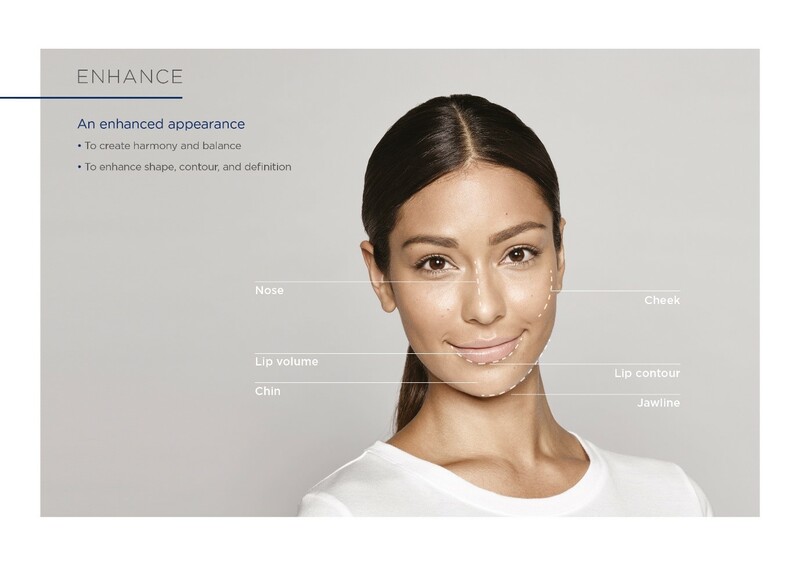 Restylane is a range of facial treatments and products produced by the Swiss biotechnology company Galderma. It specializes in soothing wrinkles, refining contours, regaining facial volume, and rejuvenating your skin by stabilized hyaluronic acid. 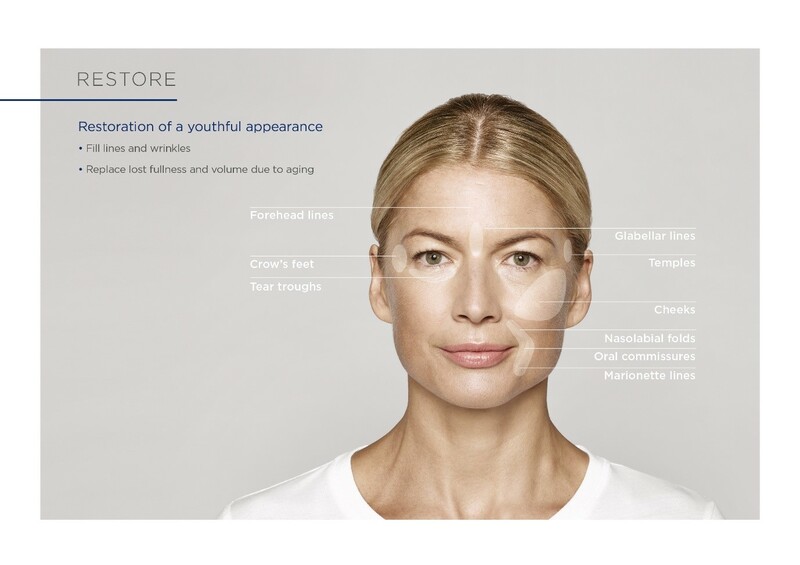 Under continuous research and development programs of Galderma, Restylane is the pioneer of stabilized hyaluronic acid (HA) dermal filler and one of the world’s most tested and sought-after hyaluronic acid products today. Its safety and efficacy are clinically proven with extensive data.